The first Sunday of October, which is Oct. 2 this year, is Respect Life Sunday, and kicks off what is a yearlong pro-life program for the U.S. Catholic Church. The U.S. Conference of Catholic Bishops’ Secretariat of Pro-Life Activities has prepared a packet for the 2016-2017 program containing materials and resources that can be downloaded in English and Spanish at www.usccb.org/respectlife. “Like the good Samaritan, may we always treat each person with merciful love and respect that affirms the gift of his or her life,” says the introduction to the packet of materials, which include brochures, fliers and posters. A social media toolkit also is available at the same website; the social media campaign is using the hashtag #MovedByMercy. 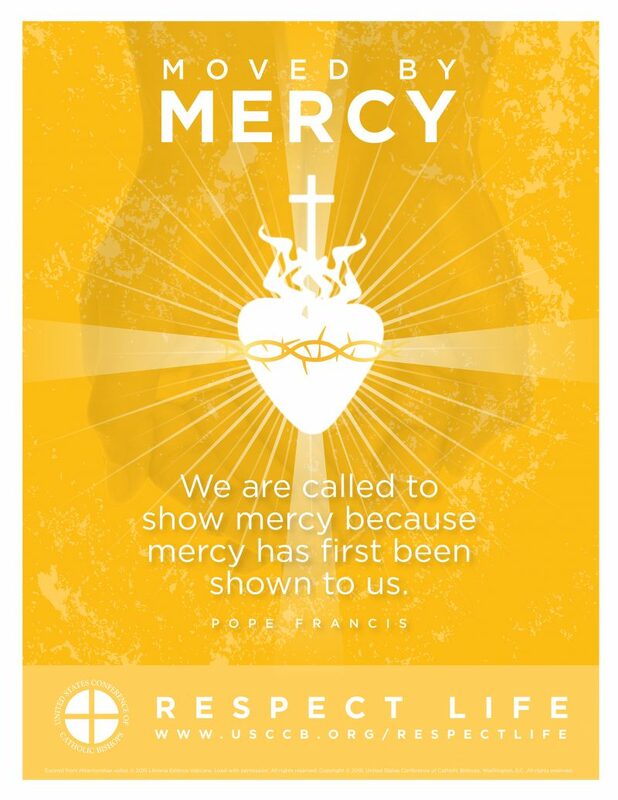 Launched in 1972, the Respect Life Program was created to celebrate the value and dignity of human life in Catholic dioceses across the United States. Each year, as a part of the program, Respect Life Month is observed with liturgies and marked by special events that take place during the month of October and continue through the following September. The 2016-17 materials focus on the issues of infertility, post-abortion healing, end-of-life care, suicide and care for creation, as well as how to accompany expectant mothers who are considering giving up their baby for adoption. The materials — available in Spanish and English — can be used in parishes, schools and faith-based ministries, but also are suitable for individual use, according to the pro-life secretariat.